One could probably write a rather thick book on how Republican policies lead to death and destruction. And they are the party of the so-called pro-lifers. Where are they when pregnant women face discrimination in the workplace? NC legislators deserve the Furies indeed, and for many other nefarious acts as well. I hope that those inmates who struggle alongside with the regular firefighters, surely, can receive a waiver for the certification for having fought with fire(s) as big as this one is. It's only fitting that they do get it, as they are all risking their lives in combating this present danger alongside with the others. Glad to read that this is backfiring in NC, and hopefully, Ms. Earls wins, even if she is last on the ballot. Good grief !!! 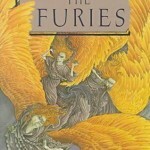 Thanks, Furies and Joanne for post. California: Couldn’t agree with you more, Joanne. Giving inmates the opportunity to become (temporary) fire fighters and help fight California’s terrible fires is a great initiative. It could however be bettered if these inmates were allowed to become certified fire fighters after their release and thus help solve the shortage of personnel with people already trained and experienced in these harsh circumstances and it would help make the inmates return into society so much smoother doing such a valued job. North Carolina: Republicans wrote a law, and passed it (?) to have a candidate who’s name started with an “E” appear last on a roll?! Have they gone collectively mad? On what possible grounds? The DNC should spend some money on an ad exposing how Republicans misappropriate taxpayers money and abuse their office to influence elections of their in principle non-partisan SCOTUS justices in the most flagrantly ridiculous way. Any Democrat going for any seat would surely win after that. For any comedians this material is almost too easy, no jokes needed, just telling this would be enough (hubby was ROTFLHAO with me just reading it out to him). I hope to see this outrageous Republican behaviour mentioned in every late night show the coming week.